I went out to this customers house because they said their dryer was not heating at all. When I got there I unplugged the dryer, then used my multimeter to test the 240 volt wall outlet that the dryer was plugged into, my multimeter said 240 volts across the two 120 volt hot legs. With the dryer still unplugged I then disassembled their dryer and ohm tested the heating element, my multimeter did not register anything(meaning my digital multimeter numbers did not change) when I touched each meter probe to the heating element terminals, so it was bad. 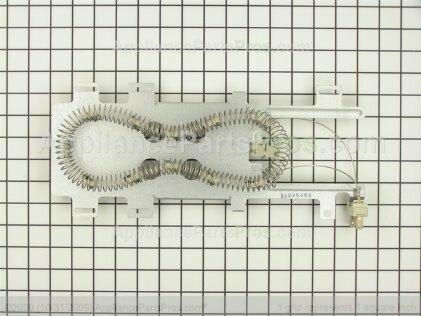 The normal ohms should be 50 ohms or less when the heating element is good. Clear. Lows 48 to 58. Northwest wind 5 to 15 mph. Sunny and warmer. Highs 84 to 89. Northeast wind around 5 mph in the morning becoming northwest 5 to 10 mph in the afternoon.